One of the hardest things to achieve in the brave new world of microbe brewing is good fungi counts when brewing fungi. Bacteria multiply more rapidly than fungi and invariably take over and suppress the fungi numbers. i.e. fungi thrive in acidic conditions but bacteria are constantly releasing an alkaline exudate which slows down the fungi. Even if you can avoid this phenomena and achieve good fungi counts there is another problem in that the fungi hyphae start to clog filters as they grow, and if left too long in the tank, it is not unusual to have to shovel out the hyphal mass from your brewing tank. The advent of Dominate-F™ has brought an end to the headaches associated with fungi brewing. This revolutionary product fuels the production of spores instead of hyphal threads. This gives a far greater number of fungi in the brew, prevents the clogging of equipment and, most importantly, produces spores that are extremely tough. 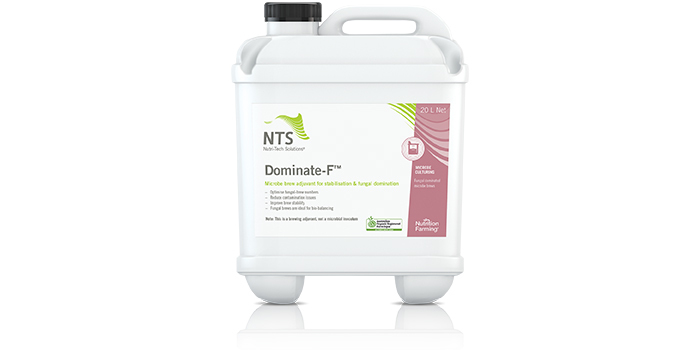 For queries about Dominate-F™ or microbe brewing, please contact the NTS Agronomy team on +61 7 5472 9900 or sales@nutri-tech.com.au.